Wycliffe Bible Translators USA leadership has taken to the airwaves trying to mitigate the damage its linguists and missiologists have brought upon this reputable organization. So far, none of the lingering questions Biblical Missiology has raised has been answered. I will share more tomorrow. So I showed you the fun parts of traveling to England. But why were the meetings significant? The topic discussed was critical to our organization. You may have seen online that Wycliffe and SIL have been the targets of unscrupulous attacks against the principles and practices used in translating certain key terms in the New Testament. Because our goal is meaning-based translations rather than transliterations (which would be utterly meaningless if taken directly from the original language sources), translators often need to carefully search for meaningful ways of expressing difficult concepts in other languages. For example grace, mercy, atonement, sanctification [sic], etc., are often difficult to express in other languages. Even in our own Bibles, Greek terms have been adjusted to carry meaning to English-speaking readers. But the current attacks are being levied against translations that found culturally appropriate ways of expressing the relationship between God the Father and Jesus the Son without using familial terms. In some contexts, using the terms father and son can ONLY[sic] imply a family relationship based on the father having sired the son through a physical relationship with the son’s mother. There can be no other understanding of the term. So in deference to the holiness of God and in reverence to the relationship between the first and the second persons of the Trinity, in some translations, terms were used to denote the sacredness of the father and son relationship without using those exact words. In response, some people who do not understand the principles of accurate and meaningful translation, and are working strictly from English source texts rather than the original Greek, are levying unprincipled, untrue attacks against our organization and our closest partner — attacks that are stirring up a great deal of concern among well-meaning people looking for answers. The Assemblies of God (AoG) and Presbyterian Church in America (PCA) are the only Christian denominations that have taken a stand against Wycliffe Bible Translators and SIL’s involvement in Bible translations that removed ‘Father’ and ‘Son’ from the Trinity. PCA acted last year. For many years Assemblies of God World Missions has partnered in ministry with Wycliffe Bible Translators. 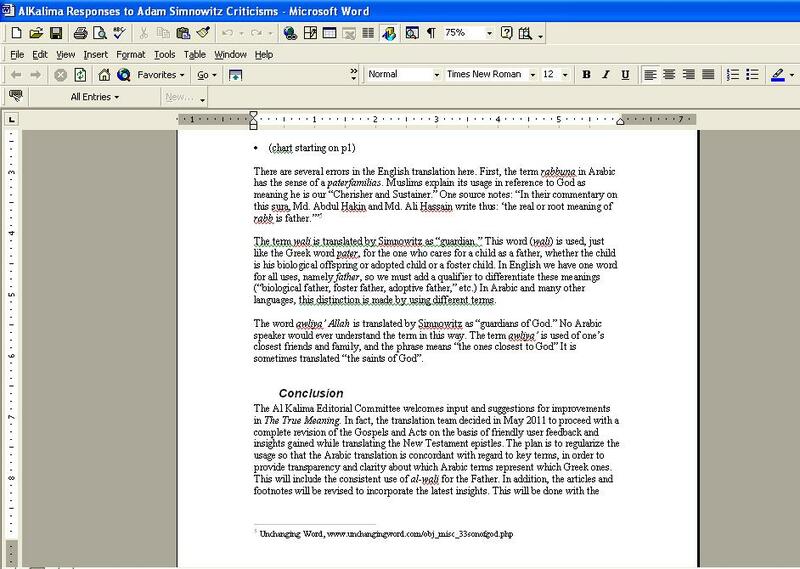 While some missionaries are appointed by AGWM to do Bible translation for specific and unique reasons, most of those with a specific calling to Scripture translation are assigned to Wycliffe. The AG World Missions Executive Committee made this determination because of the highly specialized nature of Bible translation into other languages. Presently 35 AG missionaries work with Wycliffe. In the last year the propriety of this long-held partnership has come into question for the first time. A major factor in this issue is how the Scriptures are translated for Muslim readers. Nearly every Muslim has heard the name of Jesus. Most even revere Him as a sinless prophet. But they think of Him only as a human being—not as God the Son. Communicating God’s Word for Muslims presents challenges regarding their beliefs concerning the Trinity and Jesus as the Son of God. 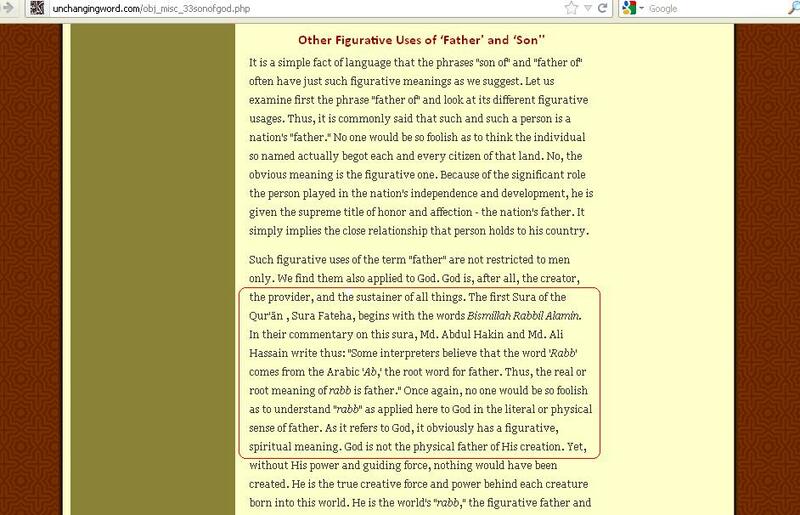 Consequently, some translations designed for Muslim readers remove familial terms, such as Father, Son, Son of God, Son of the Living God and Son of Man, from the text. In their place, alternative terms are used, such as “Beloved of God,” a familiar Arabic Muslim characterization often used when referring to Muhammad. AGWM missionary leaders, missiologists and scholars have met twice with leaders of Wycliffe and its partner ministry, Summer Institute of Linguistics (SIL), to deal with the increasing disagreement concerning Bible translation practices. AGWM has established a four-month review period until May 15, at which time a final decision will be made concerning its ongoing relationship with Wycliffe/SIL. The consequences could include asking AG personnel to leave Wycliffe/SIL, recommending that AG churches withdraw financial support for Wycliffe/SIL personnel, and engaging in translation ministry with other organizations holding a position on Bible interpretation comparable with AGWM convictions. In this challenging issue concerning Bible translation, AG World Missions leadership approaches this four-month time of review with fervent prayer and determination that our mission will neither compromise concerning the truth of God’s Word nor communicate inaccurately the nature of God the Father and His only begotten Son, Jesus Christ. Emphasis mine. Wycliffe USA still has as its doctrinal statement on its website HERE, the statement at the center of AoG’s concern. I wonder how long it takes until Wycliffe leadership realizes this is not a minor issue. In view of the continuation of controversies, I am having doubts as to whether my articles–which were intended to be a help–are in fact helping. So let me clarify my intentions.